Two children and a woman have been rescued in two separate incidents in the sea at Ballybunion in Co Kerry. Ballybunion Sea & Cliff Rescue launched a boat after an emergency call this morning reported that the children were being blown out to sea by an off-shore breeze in an inflatable ring buoy. The children, aged seven and ten, were picked up less than a mile off shore. Later, members of the unit rescued a female swimmer who got into difficulty after swimming out to the Virgin Rock in Ballybunion. The latest rescues come as Irish Water Safety, gardaí and coastguard units around the country renewed an appeal to people to be extra vigilant if taking part in water-based activities. Ten people have drowned since the hot spell of weather began. Gardaí have named the man who died in a drowning accident in Co Tipperary as Joseph Grinsell, 65, from Ahenny, near Carrick-on-Suir. Rescue teams recovered his body from a slate quarry today. Mr Grinsell failed to return home after going swimming there yesterday. 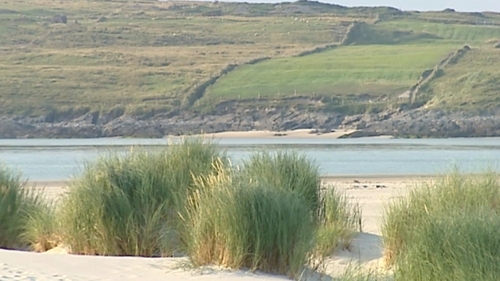 Yesterday, a 24-year-old man died after he got into difficulty in the sea in Ardara in Co Donegal. Elsewhere, James Kincaid, 34, from the Newtownstewart area of Co Tyrone, drowned after he got into difficulty in the River Strule in his home town. The accident happened at about 5.20pm yesterday. A second man was rescued and treated by ambulance staff. Minister for Transport, Tourism and Sport Leo Varadkar has described the recent deaths as "an enormous tragedy". Mr Varadkar advised swimmers to only use designated bathing spaces. "If you're not an experienced swimmer you really should stay to beaches with lifeguards and designated swimming areas," he said. A man has been hospitalised after he suffered decompression sickness after a diving expedition off Wexford this morning. The man was part of a recreational diving expedition when he ascended too quickly from 23m. The search and rescue helicopter from Waterford brought the man to the decompression chamber in Galway. He is said to be in a stable condition.